The Runtastic Sleep Better is a mobile phone app that is designed to track your sleep performance. Using this sleep app is easy. Install the app and place the phone. 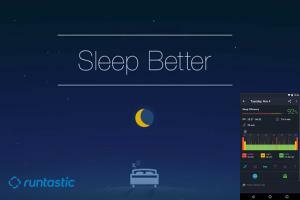 Runtastic will track your sleep and provide a rating based on how well your sleep performance. The sleep app is also designed to help you wake up when it records that you have had a good sleep. The runtastic smart sleep app is now available as a free app. You can download it on your IOS or Android phones to enjoy its features. The Company Runtastic is known for the production of wearable devices in the past before switching to the production of mobile apps. One of their most common wearable devices was the Orbit activity tracker. Although not in production anymore, you can still sometimes find it on Amazon. How does Runtastic Sleep Better App work? Still wondering how the sleep app works? Your smartphone is designed with accelerometers, which is used in apps like step counting or sleep monitors. The sleep tracking apps utilize this accelerometer to record body motions during the night. This measure of human movements is known as actigraphy. It represents the decreasing body movement, and we move from light to deep sleep. Different Sleep apps have different algorithm to help determine the amount of movement detected by the accelerometer to certain sleep stages. There are, however, a few recorded studies that determine the correctness and effectiveness of sleep apps in recording sleep efficiency. Most of the results still rely on reports from first-hand users. The Runtastic sleep tracker app doesn't track heart rate variability. Monitoring heart rate is accepted to be a more reliable method than only using body movements. SleepRate sleep app and many sleep tracking devices like Nokia Sleep, BeautyRest Sleeptracker and Emfit QS track the heart rate. The Runtastic sleep app is not very difficult to understand. It is an easy to use app that requires a few personal user data. This information is utilized by the app to create a comprehensive sleep data. The Runtastic sleep app yields a better result after multiple uses over time. The interface of the Runtastic Sleep Better is user-friendly and easy to use. It is designed with 6 wakes up windows that might affect your sleep. Select all the options that apply and push the start button when you're ready to fall asleep. The app comes with an intelligent alarm system. The app tracks your personalized wake-up time and determines the best time to wake you up. The app is designed with a special alarm window. In this window, the user inputs personalized alarm time. This information is utilized to wake the user up as he/she transits to light sleep. Are you one of those who hates the custom alarm sound and wants to keep it very personal? Runtastic is designed with a variety of alarm sounds to choose from. You have the opportunity to select a sound that best suits your style. Did the alarm sound just too early? Use the snooze function to extend your sleep for another 10 minutes or more. The snooze range can be set up to 20 minutes. You can do this a couple of times till you're ready to hop out of bed. This app is designed to keep track of your sleep pattern. It takes into record your sleep duration, how many times you wake up in the night, how long are the duration of your deep sleep and light sleep, how many times you have REM sleep through the night, how deep you sleep and your sleep efficiency. Do you have difficulties sleeping? Are there conditions that affect your sleep negatively? The Sleep Better with Runtastic enables you to take note of these conditions. Having a personal record is useful for keeping track of your sleep pattern over time. The Runtastic sleeping app diary records the time the app is activated each night. It also marks the total time of sleep and sleeps efficiency percentage. All these details will be used to calculate how well your sleep performance is over time. It can also provide information for therapists to provide advice on better sleep habits. The runtastic app utilizes various relaxing sounds or white noises to help you fall asleep faster. Keep a record of your sleep history, filter your sleep history according to weeks and set variables. This helps you to keep track of how best you sleep and know when to improve. To enjoy all the functions of the Runtastic sleep app, you have to purchase the full version. The full non-ad version of Runtastic Sleep Better costs $1.99 with in-app purchases for both Android and Apple IOS platforms. Some features are limited in the free version. If you love the free version then don't hesitate to purchase the in-app version, I'm sure you will enjoy it. The Runtastic is designed to integrate with Apple health for the IOS platform. If you're on the Android device, you can purchase either the PRO or the Premium version. When you purchase the premium, you have the opportunity to unlock other features. Some of these features include more choices for alarm and snooze, a detailed look into sleep history or taking notes about your dreams. Naturally, sleep tracker apps have a lot of similarities as all apps claim to track sleep performance via movements on the bed. The only feature that is remarkably different is just the interface of the apps. The app does not integrate with wearable devices like Google Wear. 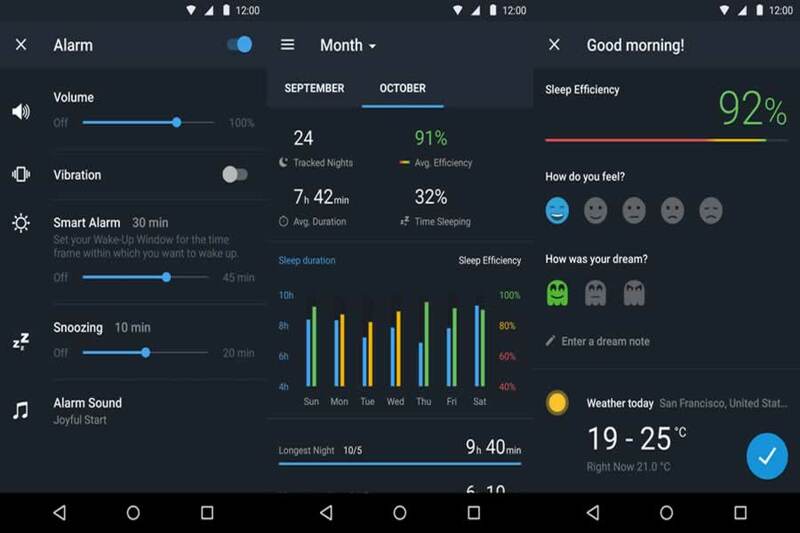 If you want a sleep monitor app that integrates with Galaxy Gear or Google Wear, you can try another app called “Sleep as Android”. The complaints we gathered from many people who tried the app is not different from the report we get from another similar sleep app in the market today. Some users complain that the app often gives wrong information about sleep time. There are times they complain that the app recorded a sleepless night for them while they actually enjoyed a good night rest. Some users also complained of built-in ads popping up even after upgrading from the free version to the commercial version of this app. Customers have also complained of accuracy issues with the app. For those finding it difficult to sleep, the sleep app can be a good option to start with to track sleep patterns, but it has its limitations since there aren't many scientific studies verifying the accuracy of monitoring sleep cycles or patterns through Actigraphy. Useful for tracking sleep performance.